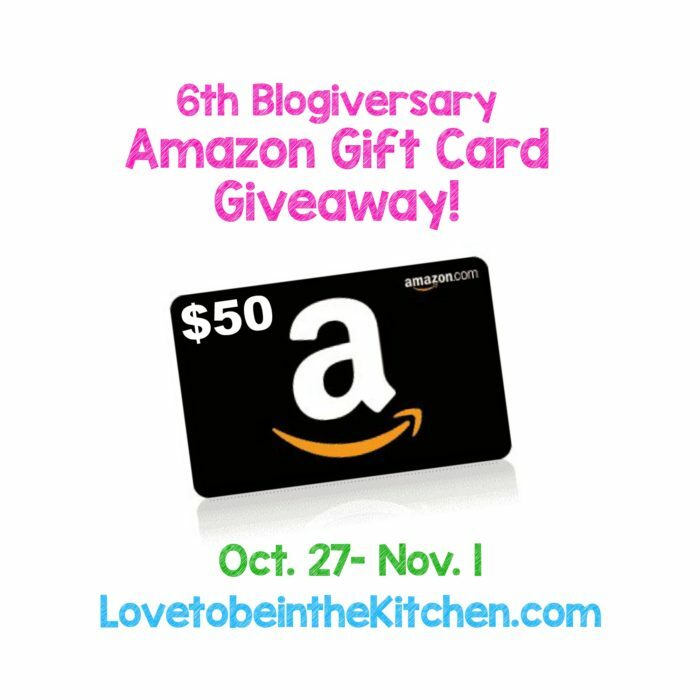 6 Year Blogiversary + $50 Amazon Gift Card Giveaway! Hey all! Happy birthday to my blog! I can’t believe it’s been 6 years! I have really enjoyed sharing so many recipes with you all these past 6 years. I absolutely love good food and that’s why I started my blog! Some recipes just are better than others and I needed to share the good ones with the world! Even though my blog title is Love to be in the Kitchen I’m all about not being in the kitchen too long and not spending too much money but still enjoying delicious food for you and your family. I’m so grateful for everyone of you who visits my blog and I love it when you tell me you tried a recipe and love it! That’s why I’m still here! It blows me away that my 7th most popular page viewed is my homepage. I love when you all visit my blog from Facebook, Pinterest etc but it’s pretty cool that so many of you know my blog to just come straight home! I also can’t believe that now that my life is crazier than ever (4 kids, newborn that wakes up often at night, busy husband only in his first couple months of his MBA program etc…) and I can’t spend nearly half as much time as I used to on my blog it’s the most “popular” it has ever been. So THANK YOU! And because I love you all, to celebrate I’m giving away a $50 Amazon gift card! But first.. let’s look at your 6 most favorite recipes from these past 6 years. Here are your top 6 recipes! There was no way I could only pick 6! But I did by choosing the ones that I make the most often and that my family really loves too! To celebrate my 6 year blogiversary and to say thank you for supporting me, I’m giving away a $50 Amazon gift card! How awesome is that!? I LOVE Amazon and I know how awesome it is to use Amazon for Christmas shopping and more so good luck and I hope you win! One lucky reader will win a $50 Gift Card to Amazon! Simply fill out the Rafflecopter below and be sure to comment letting me know what recipe you like the most from my blog or a recipe you would like to try! Happy Blogiversary 🙂 I have made your dark chocolate m&m cookies for this past Christmas and they rocked. I would love to make the boneless baked wings next!! Thanks! Those recipes are both amazing! I’d like to try your recipe for Chocolate Silk Pie. That’s my favorite pie ever! Enjoy! The SPOOKY COOKIES are perfect for Halloween! I’d like to try the cranberry salad for Thanksgiving! Good choice! That’s been a dish my family and I can’t do without at Thanksgiving for a few year now! Happy Blogiversary! All of these recipes look delicious! 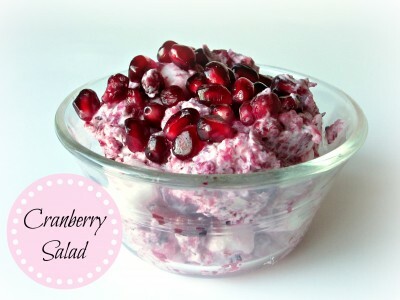 I’d love to try the Cranberry Salad (so pretty) and I think my family would love the Boneless Baked Buffalo Wings. Your chewy pumpkin chocolate chip cookies sound amazing! My husband hates everything pumpkin, so my daughter and I get to share them! The perfect chocolate chip cookies are my (and may always be) my favorite! Your chocolate silk pie is still my favorite. I’m looking forward to making it next month for Thanksgiving! Oh awesome! I LOVE that pie. Enjoy! I would love to try that recipe for the carribean passion smoothie! That was my favorite when I used to live near a Jamba Juice. You should definitely try it! It’s so good! We like the Christmas muddy buddies! I still have your Pumpkin Snickerdoodles on my to-do list! 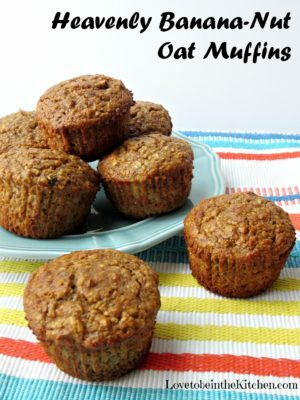 My favorite recipe is the Heavenly Banana Nut Oat Muffins! Happy Blogiversary! I would like to try the chocolate silk pie recipe. Happy 6 years Becky! 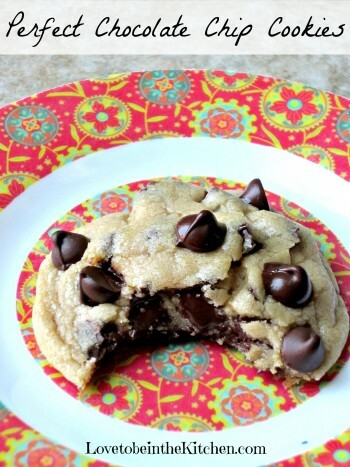 My favorite is for sure your perfect chocolate chip cookies. They seriously are perfect! There so many others I still need to try. I have to tell you that your blog is the only one I actually follow. Haha You are the best! I love the Chocolate Silk Pie recipe – it’s been my go-to Thanksgiving pie for the past several years 🙂 I also LOVE the monster cookies. So good!!! 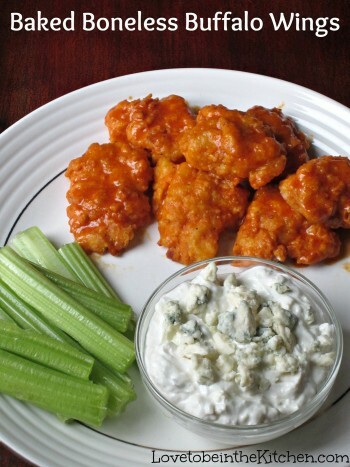 I love this recipe!Boneless Baked Buffalo Wings . I am on a low carb diet at the moment but I will try these wings 🙂 I would love to see some low carb recipes please. Happy blogiversary! Your Spooky Cookies are my favorite because they ROCKED the Halloween series this year. Awesome cookies! Happy blogiversary! 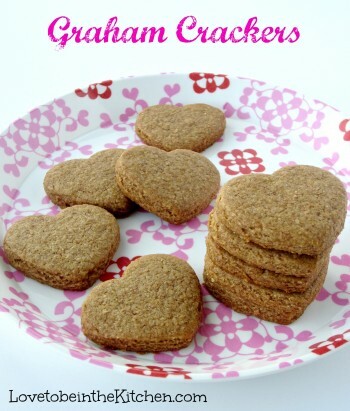 I loved the graham cracker recipe. So easy, I never knew!!! Thanks! I love that recipe. Quick, easy and so yummy! I love reading your blog. I feel like I ca pin trust your recipes, especially for my picky eater! That chocolate silk pie looks so good! It’s my sister’s favorite so i have to try it ! I love your perfect chocolate chip cookies, we’ve made them several times and they turn out great! That’s awesome! That recipe ROCKS! 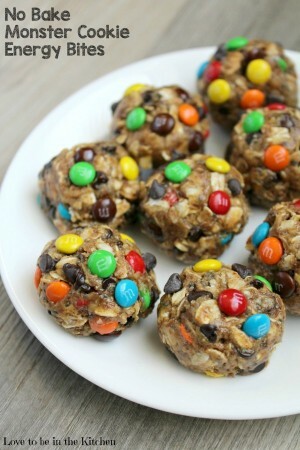 The No Bake Monster Cookie Energy Bites sound delicious! Love to try the baked buffalo wings! I would like to try the Honey BBQ Baked Boneless Wings. I would like to try the cheezy meatball skillet and the Graham cracker cookies look so good. The Chocolate Silk Pie looks divine. I realized that it’s not as hard to make as it looks. I may make one for the holidays. Happy 6th anniversary! I’d like to try the peanut butter cup explosion cookies. They look amazing. Happy blogiversary and happy Halloween! You have some great Halloween treats that I might try this weekend. But, I was most excited about the boneless baked buffalo wings. They will be great for football season. And, the other recipes on that page, the chip dip. Yum! Thanks for the recipes. I would like to try making the Boneless Chicken Wings. I love them but never made them myself. You’ll have to try it! It’s not as hard as you might think and it tastes amazing! 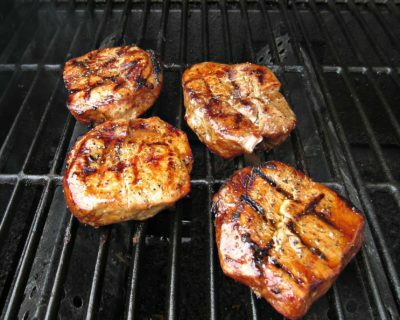 I like the Marinated Grilled Pork Chops recipe. I love cranberries. That Cranberry Salad has my attention! Then you will LOVE it! It’s one of my very favorite recipes on my blog! We LOVE the perfect chocolate chip cookies! Thanks for sharing all your recipes! Perfect chocolate chip cookies looks yummy! Thanks for all the great recipes. I really want to try your Cranberry Salad recipe. My family love cranberries and I think this would be a bit hit in the upcoming holidays. Thanks for the recipe. the Honey BBQ Baked Boneless Wings look delicious! I want to try the Honey BBQ Baked Boneless Wings recipe. Id love to try the graham crackers! i bet my kids would love them! 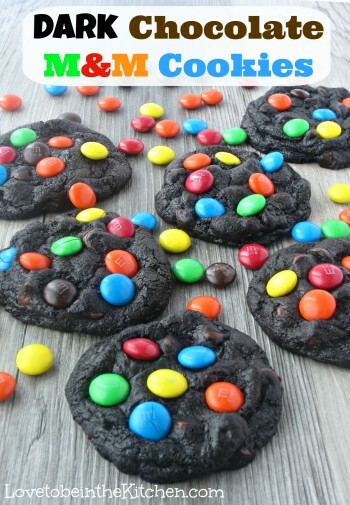 I would love to try the healthy monster cookies! I would like to try out your Healthy no bake cookie recipe. I’d like to try Honey BBQ Baked Boneless Wings. Oh I found your website looking for a jello salad and was so excited to try your Fluffy Pink Fruit Salad! It was so easy to make and the family all loved it! Thanks for the great easy recipe to take to our family functions! I like your healthy monster cookies! The Crock Pot Buffalo Chicken Sliders! My favorite recipe on your blog is the Apple Monster Cookies. I will be making the APPLE POMEGRANATE SALAD! This looks so refreshing! I would love to try your Healthier Caribbean Smoothie, it looks delicious! I would like to try your spooky cookies recipe. This would be fun to do with the kid tomorrow for Halloween. I want to try chocolate chip cookie dough stuffed Oreos! I REALLY want to try those chocolate chip cookie dough stuffed oreos! Holy Moses cookie dough stuffed Oreos. W-o-w. Cookie dough is my #1 food group, but you just took it to a whole other level. Now I know what I want for my birthday…. I want to try the Graham Crackers!! I’d like to try your perfect chocolate cookie recipe. I think the HONEY BBQ BAKED BONELESS WINGS would be perfect for a tailgating party. I love the CHOCOLATE CHIP PANCAKES WITH CINNAMON CREAM recipe. I always enjoy trying new pancake ideas. This one was so goood! I need to try your graham crackers! I’d like to try the Chocolate Silk Pie. One of my favorite recipe is your No Bake Monster Cookie Energy Bites, I like all the great ingredients in them the flax and chia seeds make them awesome. Your chocolate silk pie looks delicious! I love to bake, and want to try this soon! It looks like a perfect entertaining recipe! I can’t believe it’s been that long. It’s been so fun to watch the blog grow. Nice work! I could eat your Buffalo Wings for breakfast, lunch and dinner! I grew up in the South — We eat breakfast for dinner and dinner for breakfast! I want to try your CRANBERRY SALAD. Good ingredients and so pretty. Your dark chocolate ice cream is one recipe I really need (need!) to try. My favorite recipe on your blog is the Boneless Baked Buffalo Wings but I want to try the Chocolate Chip Cookie Dough Stuffed Oreos. 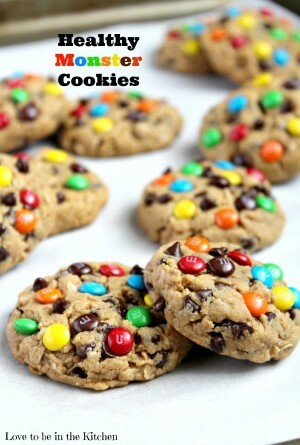 The Healthy Monster Cookies or the Perfect Chocolate Chip Cookies look so good! OMG the Heavenly Banana Nut Oat Muffins looks AMAZING! Def wanna try those! mmm! The Chocolate Silk Pie looks amazing! Since I’m always buying them at a restaurant, I would like to make my own Baked Boneless Buffalo Wings. I would love to make that Chocolate Silk Pie! That would be perfect to serve guests this coming Thanksgiving! 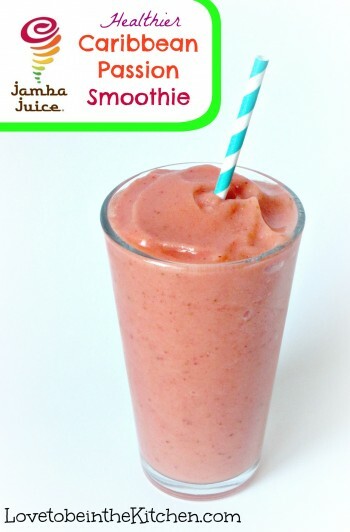 THE Healthier Caribbean Smoothie sounds delish! 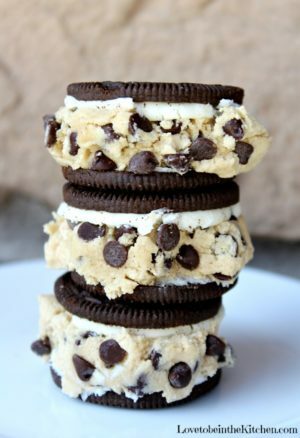 I would love to make the Chocolate Chip Cookie Dough Stuffed Oreos for my husband. They sound and look awesome! 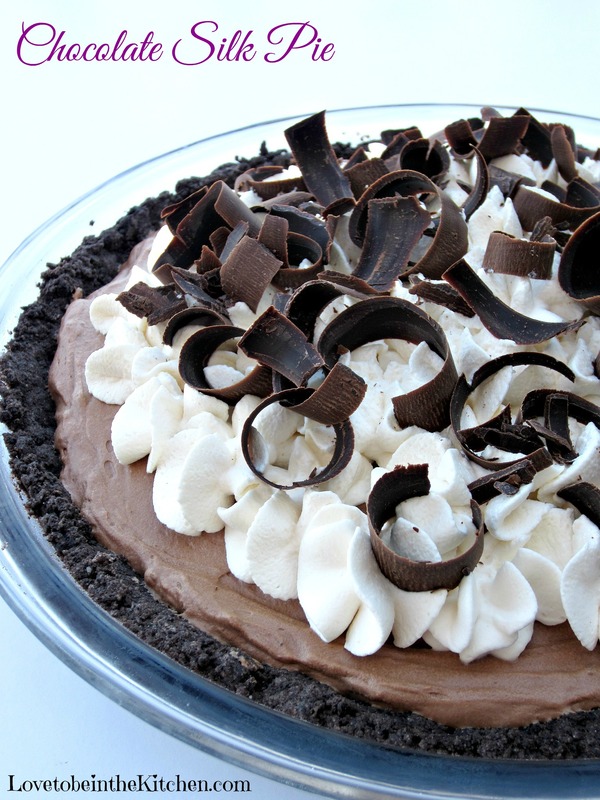 chocoholic here…definitely want to try your chocolate silk pie recipe! It was the gender reveal truffles that originally led me to you, but the Dark Chocolate M&M cookies that I’m most excited to try next. I’m “auditioning” a few new recipes this weekend for my Christmas cookie list, and these are most definitely in the line up! The recipe for Cranberry Salad is totally up my alley! I am pinning it for later! I really want to try your perfect chocolate chip cookies recipe! I’d love to try your No Bake Monster Cookie Energy Bites with all those yummy healthy ingredients for an energy boost! Happy 6th Blogiversary!! Happy Blogiversary!!! Glad I came across your blog tonight…so many wonderful things to try. Gonna try the Carribean smoothie soon…and the cookie dough stuffed oreos…WHOA! The Chocolate Silk pie looks amazing! I want to try it! I would try your Homemade Snickers Cheesecake Bars. Congrats. The recipe I would like to try is the Heavenly Banana Nut Oat Muffins.